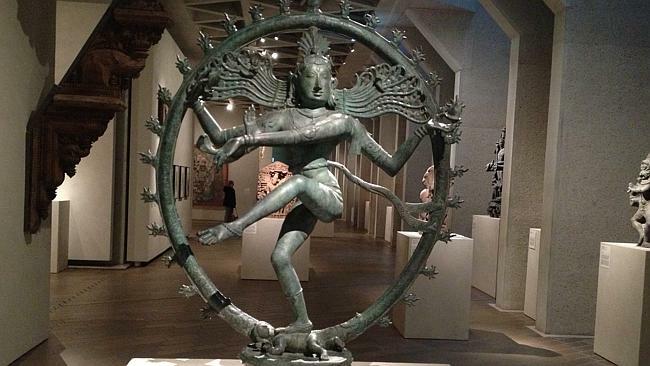 The Indian government formally requested the return of a 900-year-old Dancing Shiva statue from the National Gallery of Australia and a stone sculpture of the god Ardhanarishvara from the Art Gallery of NSW last week. The Attorney-General’s Department issued a statement on Wednesday saying that the Art Gallery of NSW had “voluntarily removed” its sculpture from public display – one day after it was announced the National Gallery would remove its allegedly looted statue from exhibition. Both artefacts were bought from antiquities dealer Subhash Kapoor, who is on trial in India for looting and wanted in the United States for allegedly masterminding a large-scale antiquities smuggling operation. A first secretary of India’s High Commission, Tarun Kumar, said it was “our expectation” both statues would be returned to India. “We expect a decision in that regard will be taken within the next month,” he said. A spokeswoman for the Attorney-General’s Department said on Wednesday that there was no time limit in the legislation for responding to the Indian government’s request. The Canberra-based National Gallery paid $US5 million for the Dancing Shiva statue in February 2008. The statue was one of 22 items it bought from Mr Kapoor’s Art of the Past gallery for a total of $11 million between 2002 and 2011.